There is a lot of hype about Big Data. Prof. Chang will examine the “black swan theory” and the phenomenon of the white elephant to better understand what Data Mining and other techniques can and cannot do. In such an analysis, the unique role of science fiction arts, including novels, movies and visual arts, will be more distinct. Prof. Chang will use many examples to illustrate sci-fi as the means to explore alternate universe and plausible realities in a holistic way. This talk is meant to provoke you and stimulate discussion. 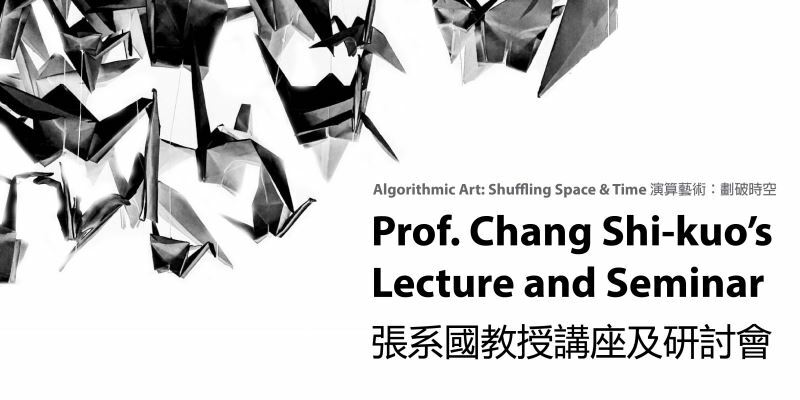 Comments and critiques after Prof. Chang’s lecture are welcome. Bio Sketch of Professor Shi-Kuo Chang: Prof. Chang received a B.S. degree from National Taiwan University in 1965, and the M.S. and Ph.D. degrees from the University of California, Berkeley, in 1967 and 1969, respectively. He is currently Professor, School of Computing and Information, University of Pittsburgh. He is a Fellow of IEEE. His research interests include visual languages and software engineering. He published over two hundred and ninety papers and wrote or edited sixteen technical books on visual languages and software engineering. Prof. Chang's literary activities include the writing of thirty-nine novels, collections of short stories and critical essays. He is credited to be the "Father of Science Fiction" in Taiwan. In this seminar chaired by Prof. Chang Shi-kuo, there will be a discussion on the adaptation of sci-fi to movies and television dramas with the three guests, director Mr. Ng Kam Yuen, scriptwriter Mr. Cheung Chi Sing and Mr. Hou Lei. The visions and imagination of alternative futures represented in sci-fi, movies and televisions will be further explored throughout the discussion. City University of Hong Kong reserves the right to change the programme content, take photo or video documentation on the seminar and use these records for publicity without prior notice.